The citrus trees are covered in blossoms. On Sunday morning, I decided that it is time to harvest all the remaining oranges. I added as many lemons as I thought I would manage to squeeze. The trees need a break from bearing fruit before the next crop of young fruit starts forming. 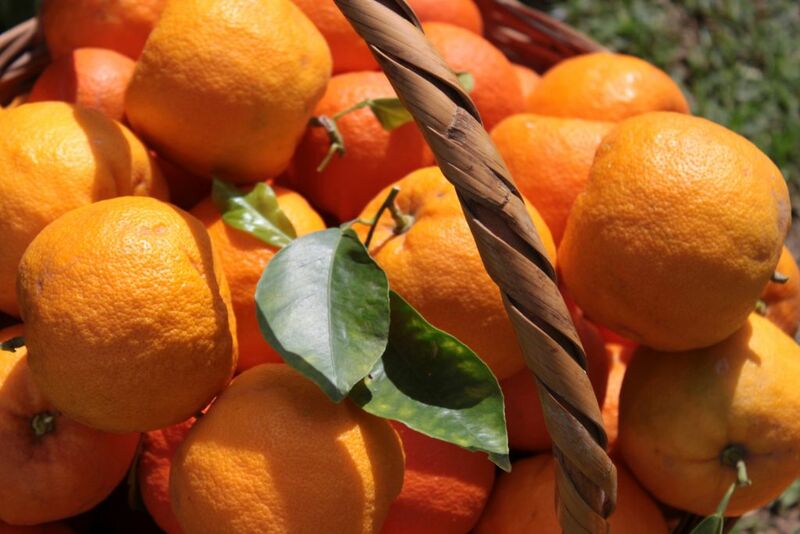 Trying to reach all the oranges was a sensory experience. The fragrance of the citrus blossoms fills the whole vegetable garden alongside, but being in the tree was a heady experience. It was as if the trees were vibrating from the sound of bees collecting nectar. A steady fall of white petals followed their landing on the fragile flowers. In the tree, the fragrance of the blossoms was overwhelming. 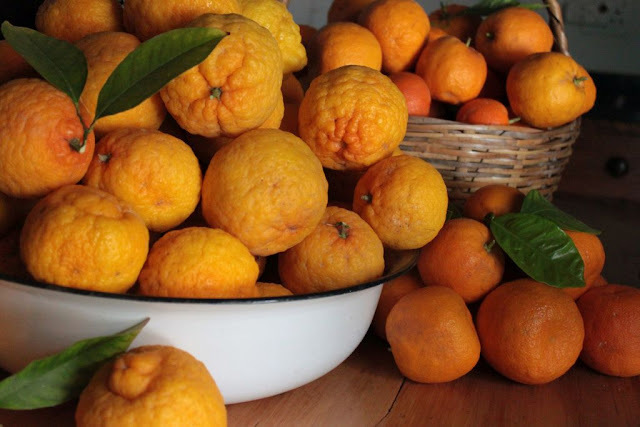 I contemplated making orange blossom liqueur. Orange blossom liqueur seems so decadent, but I cannot bring myself to harvesting the blossoms. I enjoy and encourage the bees in the garden. They dictate whether flowers can be harvested or not. 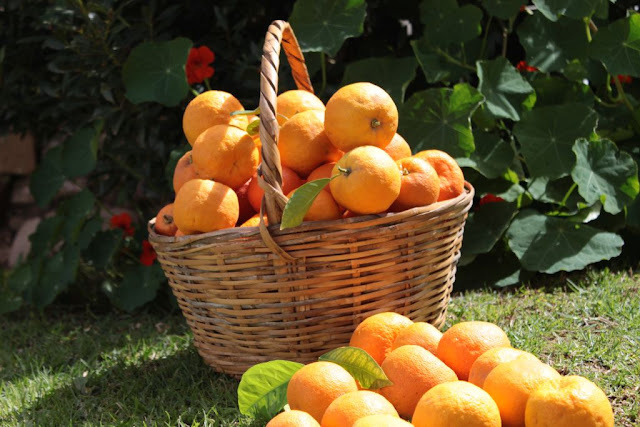 It just seems so very extravagant to pick blossoms, denying the bees of their nectar, and us the oranges for future jars of marmalade. Sunday morning turned into a citrus extravaganza. 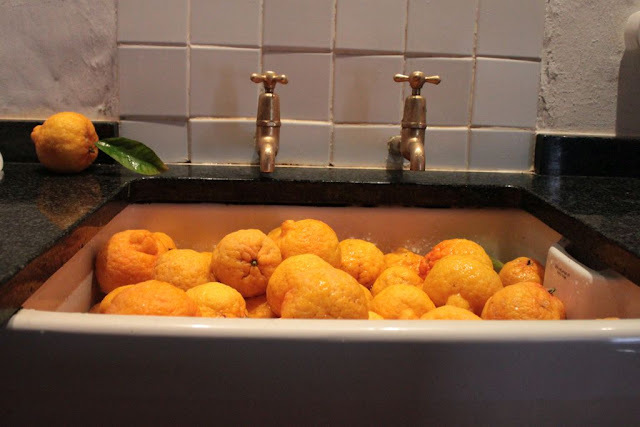 From the scent of sweet blossoms, to the fragrant citrus oil covering my hands and clothes, I squeezed basket after basket of citrus fruit to make old fashioned lemon cordial. 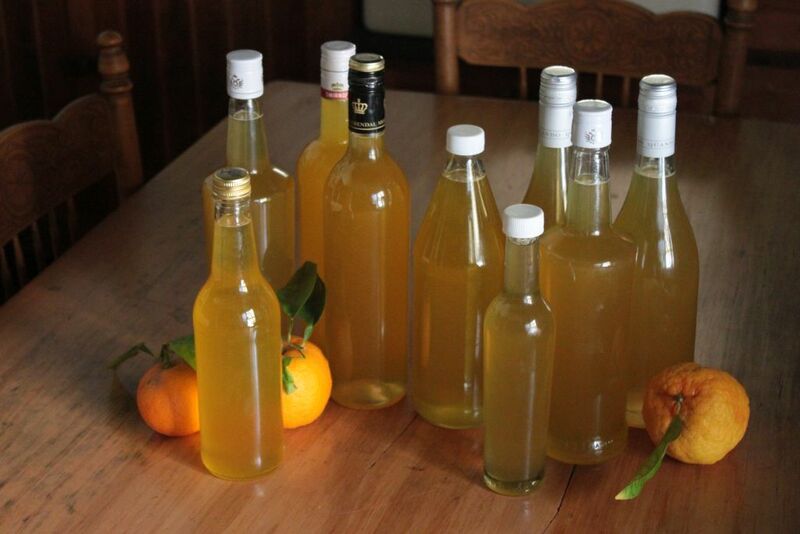 Feeling adventurous I decided to make Seville orange cordial. 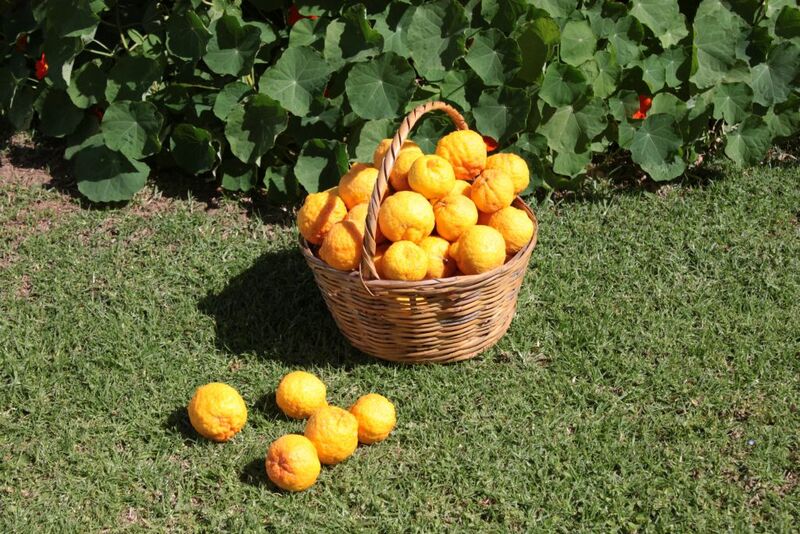 The lemon cordial is fairly straight forward with litres of juice to a ratio of sugar in grams. 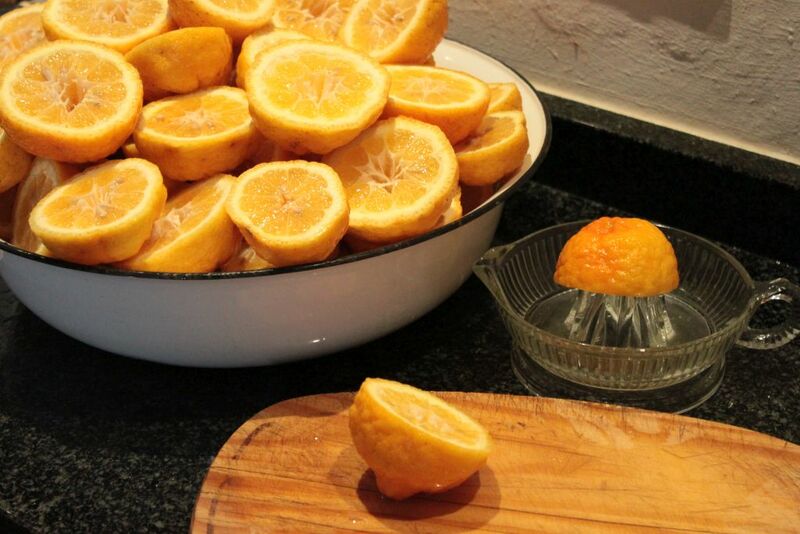 Whenever a recipe calls for 28 juicy oranges to 9 lemons I have lots of questions. 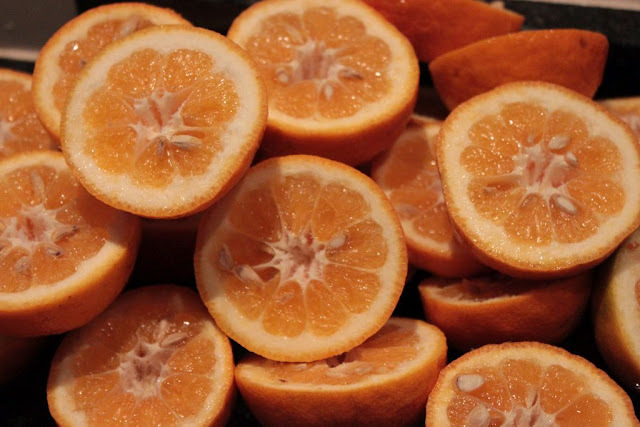 Like, how much juice should a juicy orange have? 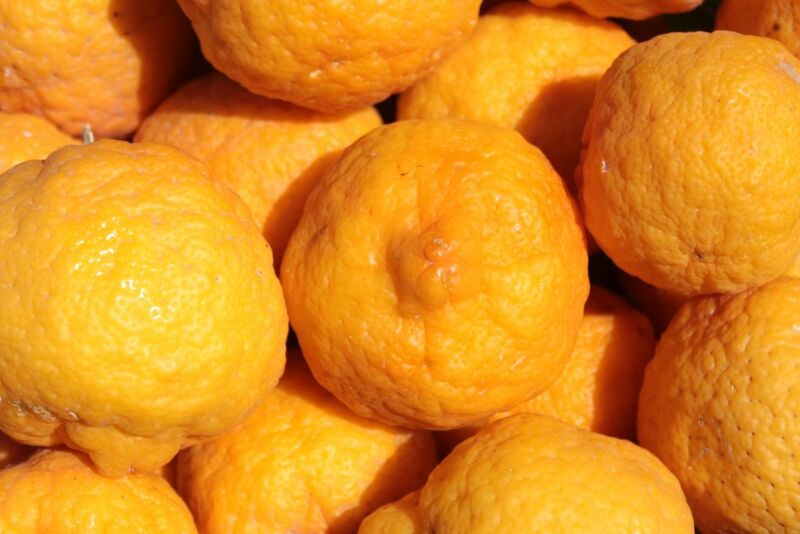 How big should a juicy orange be? And what if the lemons are juicier then the oranges? I prefer measured quantities to numbers of fruits. It is difficult because experienced cooks just know how much a handful is, as much as they do a pinch, a picking or a bunch, in their recorded recipes. My problem is that hand sizes differ. When do I stop picking to have a picking, and what size is a bunch? Cups and spoons I can still manage. But, I decided to follow the recipe as written and squeeze all 28 oranges and 9 lemons. Now we have bitter orange cordial. Will it taste like sparkling marmalade when I mix it with soda water? Well I suppose it will remain a taste adventure that awaits summer guests. 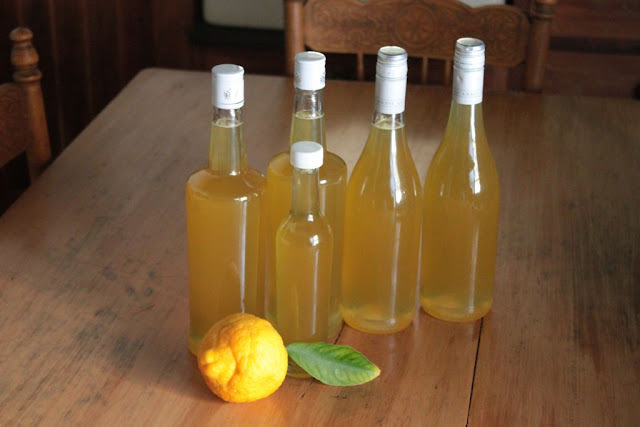 Homemade cordials are such a refreshing luxury to serve guests on hot summer days in the country. 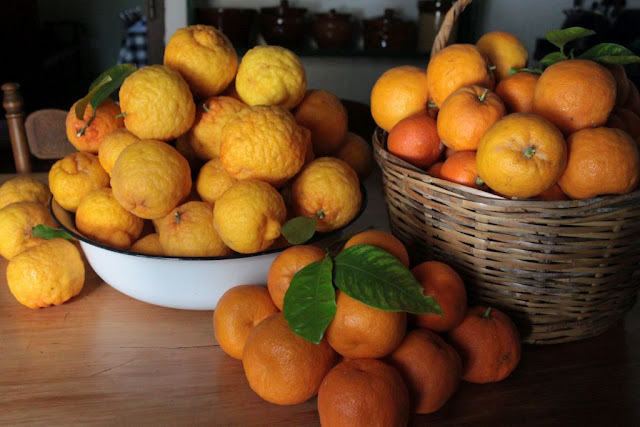 And with a kitchen smelling like a thousand oranges and lemons, I could stand back and admire the fruits of my labour on a Sunday that turned out very citrusy. Such bounty and such industry! Congratulations.